Newburgh is fifty-seven miles up the Hudson River from New York City. The city began to build at the river front and advanced up the abrupt hill by "mass formation," structures elbowing close to each other and land being economized. But once the crest of the hill was reached, building operations scattered and played more freely along the hill-top and down the other side, until the city now covers about three and three-fifths square miles. The present population is estimated at 31,242. Rates of increase have been moderate, but steady, the number of inhabitants growing from 23,087, in 1890 to 24,943 in 1900, and 27,806 in 1910. Fifty per cent, of the latter number were native whites of native parentage. Foreign born whites represented seventeen per cent. The birthplaces of the largest numbers of the foreign born in 1910 were, Ireland 1555; England, Scotland and Wales, 856; Italy, 675; Russia and Finland, 524; and Germany 512. The city was settled in 1708 by a band of Palatines driven from their homes on the Rhine by religious persecution. These were followed about 1743 by Scotch English and the city was christened with the Scotch name - Newburgh. In colonial times Newburgh was an important commercial center, being a strategic meeting place for water and stage transportation. Washington made it his headquarters for a year and a half during the Revolution, and it was here that his army was disbanded. 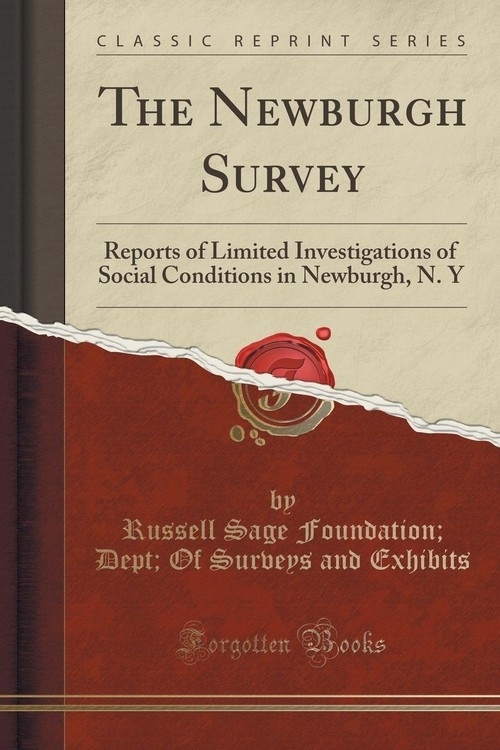 In 1909 there were 104 industrial establishments in the city, employing 4066 persons, and turning out products worth almost $10,000,000, half of which value was added in Newburgh. The present industries are greatly diversified. As a manufacturing center the city has the advantage of good shipping facilities and nearness to the great New York City market, and its future seems to lie in development along this line.